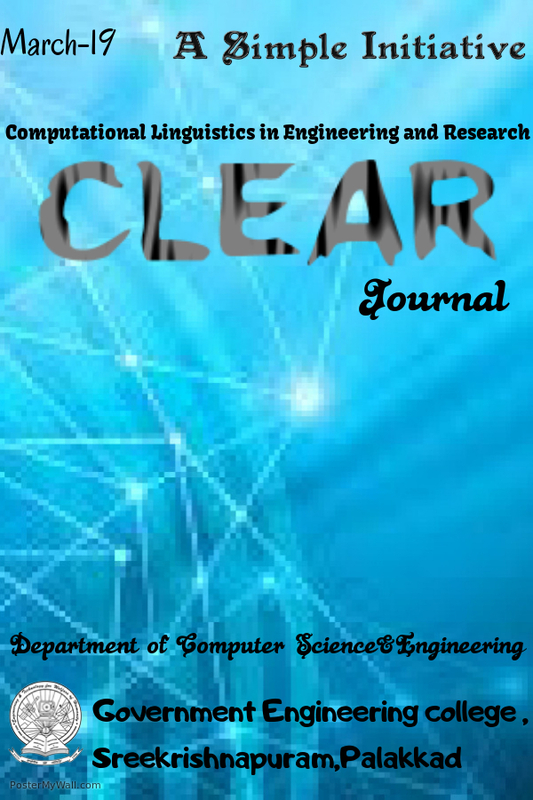 The ninth issue of CLEAR Journal published on September 26, 2014. 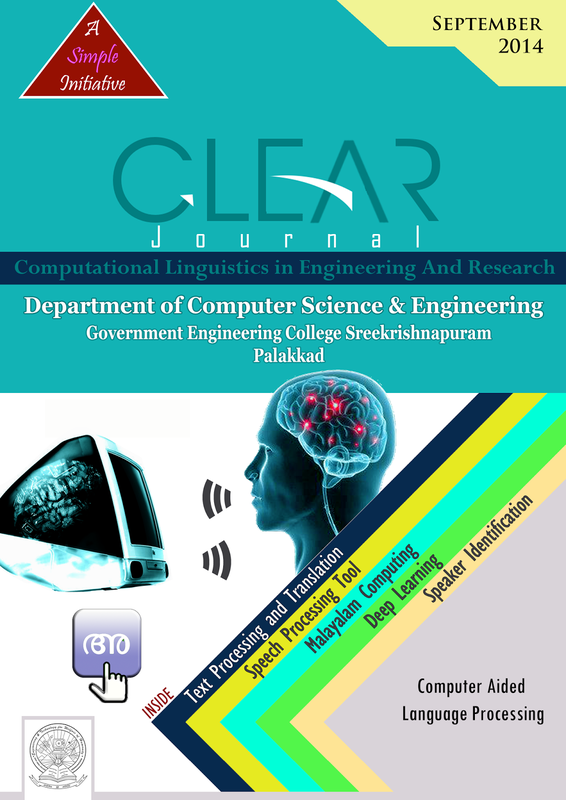 This issue contain a special article on Translation tool from Wikipedia by Santhosh Thottingal, Senior Software Engineer, Language Engineering team, Wikipedia Foundation. The other articles discusses on Speech Processing. The next issue will be on December 2014. 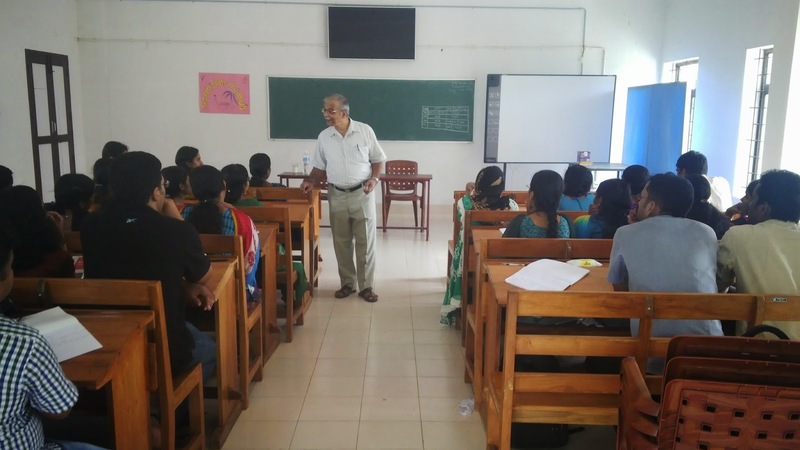 Professor R Kalyana Krishnan, one among the most reputed Professors of IIT Madras visited our college on 16th of September 2014. Prof. Kalyana Krishnan was retired from IIT Madras in March 2011 after a long service lasting nearly four decades. He visited our college and delivered expert talks on various engineering fields for both postgraduate and undergraduate students. Interaction with PG students began by afternoon as per the schedule. Both the first and second year M.tech Computational Linguistics batch students attended the class. The talk was centered around text processing and various issues associated with it. After providing a short introduction on the mathematical basis provided to text processing, the discussion advanced to the much anticipated Multilingual text processing. The question "Which is the most frequent alphabet in Malayalam text?" made us realize that we know only a little about our own mother tongue. Prof. Kalyana Krishnan also found time to compare English with Malayalam. English has only 26 alphabets compared to Malayalam, where a careful study would reveal that the actual numbers, also counting koottaksharam, are way beyond what we have imagined. This fact might bias us towards English as it is easy to learn comparatively, but this easiness comes with a cost. For all those who are familiar with language processing in English would easily find that there exist a long list of homophones that makes text to speech a tedious task in English. Prof. Kalyana Krishnan emphasized the point that no two person would pronounce the same text differently in Malayalam. That is, there exists no homophones in Malayalam, a quality that we should all be proud of. This is not incidental but rather by the design of Malayalam "Aksharas". Its meaning (not moving, stationary, non ambiguous) itself explains this fact. Later the talk proceeded with issues regarding the character encodings in Malayalam, mostly the ones associated with Koottaksharams. Then the Professor made us realize the beauty of Malayalam and asked us to envy the expertise with which the Indian literatures were written. The beauty of Indian literature further drove the discussions towards the Rama Krishna Viloma Kavyam, a sloka build of palindromes, containing as long as 64 slokas, that depicts the chronicles of Lord Krishna when read in one direction and that of Rama when read in the opposite direction. The excellence of the epic Mahabharatha was the other interesting literary work that came into our discussion. The ancient literature in India was magnificent in many aspects like conveying more ideas in the forms of short slokas. The knowledge that every 1000th sloka in Mahabharatha had dual meanings and the reason behind it, was absolutely new to us. The Professor, before concluding our short session, asked the students to sent a mail to his personal mail id that describes what each of us perceived from his class. This is a practice which he had always asked from his students, to make them improve the way they express themselves. Professor did also found himself time to reply and suggest some further readings to all those who mailed him their experience and what they understood from the talk. Opportunities like this where we could share our thoughts and ideas with experts like Prof. Kalyana Krishnan comes rarely in a lifetime. We, the students of M.Tech CL is hence sincerely thankful to our department and our Head of the department for providing us such an opportunity.